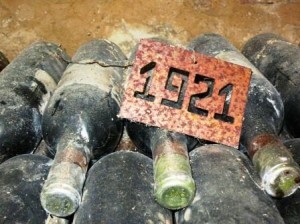 1921 Bordeaux wines were stunning the day they were released! Similar to the opulent styles of Bordeaux wine found in 1929, 1959, 1989 and 2009, the vintage was the product of a very, hot vintage. 1929 Bordeaux temperatures were the hottest on record since 1893. In fact, July 1921 held the record for the hottest July until 2010! The extreme heat caused problems for some vintners. During vinification, wine makers were quoted as saying their vats overheated during fermentation. Some used ice to help cool things down. Other Bordeaux wine makers had issues with the drought conditions and sunburned grapes. The 1921 Bordeaux harvest started September 11 and kicked into high gear a few days later. BY September 17, all the chateaux were actively picking. The 1921 Bordeaux harvest took place under extremely hot, dry conditions. 1921 Bordeaux wine is one of the few great years that is known for being a tremendously successful vintage in every appellation. Great wine was produced in the soils that were able to retain moisture. So the quality varied from chateau to chateau. With that in mind, it’s undeniable that stunning wines were produce all over Bordeaux, in the Medoc and the Right Bank. 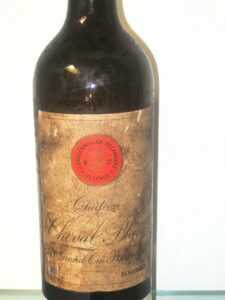 1921 Cheval Blanc, St. Emilion remains one of the best bottles of wine I’ve ever tasted! The extreme heat raised sugar levels in the sweet, white wines of Sauternes to perhaps all time highs. Many, experienced tasters feel 1921 Chateau d’Yquem could be the best vintage Chateau d’Yquem ever produced. I know it’s on my bucket list of wines to taste. 1921 Bordeaux wines are in the style of the best opulent, sensuous vintages, for example; 1929, 1959, 1982, 1989, 1990 and 2009. When 1921 Bordeaux wines hit the stores, the first world war was over, some people started to have money again and it had been 21 long years since Bordeaux experienced a great vintage.